What are the characteristics of current intra-Commonwealth trade, and how can it be encouraged to grow? Trading on Commonwealth Ties identifies opportunities for stimulating trade within the Commonwealth, but warns against setting up a free trade agreement across the member states. 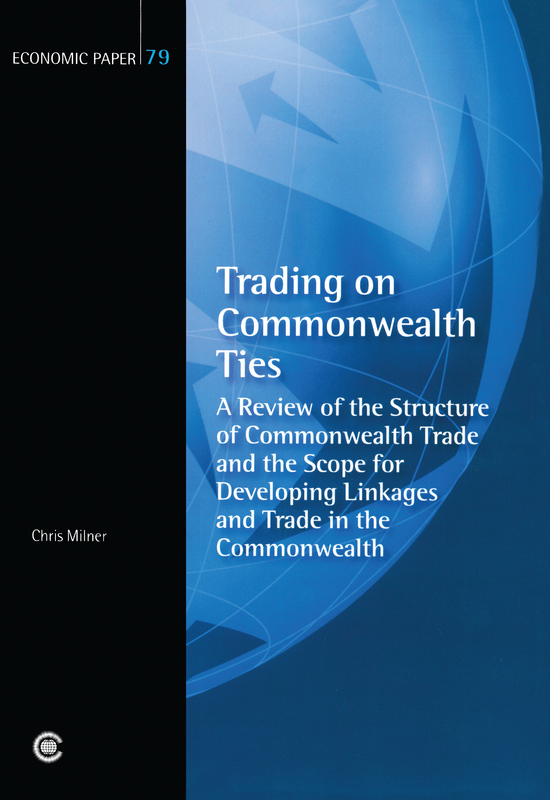 Chris Milner argues that while the idea of trying to build a Commonwealth free trade agreement may hold enormous appeal, it is fraught with legal, administrative and political difficulties. He identifies improving trade infrastructure – particularly roads, railways and port facilities – as a key means of lowering trading costs and boosting trade both within the Commonwealth and with non-Commonwealth countries. Intra-Commonwealth trade currently generates about US$225 billion a year in export trade for member countries, which is equivalent to about 16 per cent of Commonwealth countries’ total exports. This is a substantial volume of trading activity, but overall the bulk of Commonwealth countries’ trade is with countries outside the Commonwealth. Nonetheless, for some countries, like Botswana, Namibia, Papua New Guinea and Samoa, intra-Commonwealth trade remains significant as it represents in excess of 70 per cent of their international trade. This book will be of interest to economic planners, researchers and policy-makers in all Commonwealth countries.